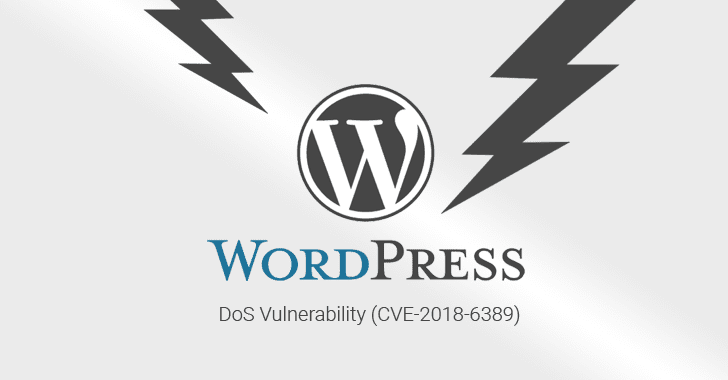 Since the company has denied patching the issue, the vulnerability (CVE-2018-6389) remains unpatched and affects almost all versions of WordPress released in last nine years, including the latest stable release of WordPress (Version 4.9.2). Discovered by Israeli security researcher Barak Tawily, the vulnerability resides in the way "load-scripts.php," a built-in script in WordPress CMS, processes user-defined requests. However, to make "load-scripts.php" work on the admin login page (wp-login.php) before login, WordPress authors did not keep any authentication in place, eventually making the feature accessible to anyone. 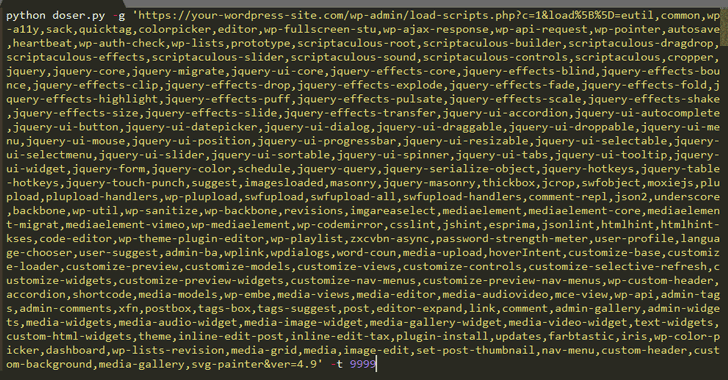 "There is a well-defined list ($wp_scripts), that can be requested by users as part of the load parameter. If the requested value exists, the server will perform an I/O read action for a well-defined path associated with the supplied value from the user," Tawily says. Although a single request would not be enough to take down the whole website for its visitors, Tawily used a proof-of-concept (PoC) python script, doser.py, which makes large numbers of concurrent requests to the same URL in an attempt to use up as much of the target servers CPU resources as possible and bring it down. 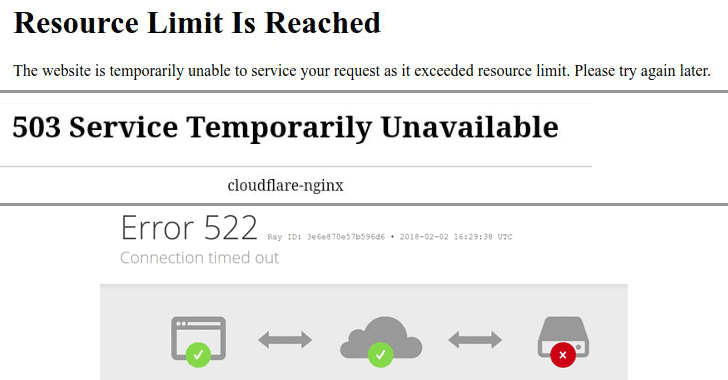 The Hacker News has verified the authenticity of the DoS exploit that successfully took down one of our demo WordPress websites running on a medium-sized VPS server. "It is time to mention again that load-scripts.php does not require any authentication, an anonymous user can do so. After ~500 requests, the server didn't respond at all any more, or returned 502/503/504 status code errors," Tawily says. However, attack from a single machine, with some 40 Mbps connection, was not enough to take down another demo website running on a dedicated server with high processing power and memory. But that doesn't mean the flaw is not effective against WordPress websites running over a heavy-server, as application-level attack generally requires a lot fewer packets and bandwidth to achieve the same goal—to take down a site. 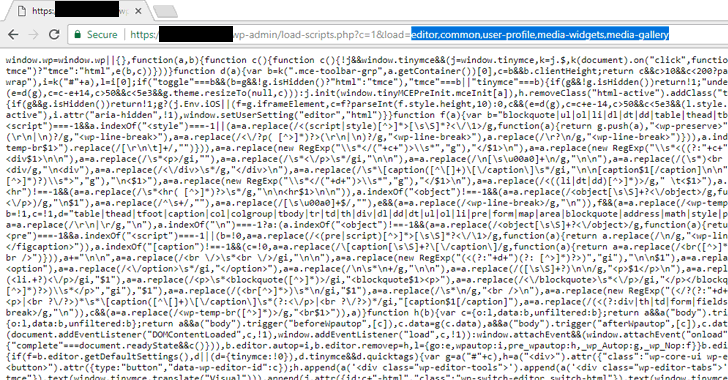 So attackers with more bandwidth or a few bots can exploit this flaw to target big and popular WordPress websites as well. Along with the full disclosure, Tawily has also provided a video demonstration for the WordPress Denial of Service attack. You can watch the video to see the attack in action. Knowing that DoS vulnerabilities are out-of-scope from the WordPress bug bounty program, Tawily responsibly reported this DoS vulnerability to the WordPress team through HackerOne platform. However, the company refused to acknowledge the issue, saying that this kind of bug "should really get mitigated at the server end or network level rather than the application level," which is outside of WordPress's control. The vulnerability seems to be serious because WordPress powers nearly 29 percent of the Web, placing millions of websites vulnerable to hackers and making them unavailable for their legitimate users. For websites that can't afford services offering DDoS protection against application-layer attacks, the researcher has provided a forked version of WordPress, which includes mitigation against this vulnerability. However, I personally wouldn't recommend users to install modified CMS, even if it is from a trusted source other than the original author. Besides this, the researcher has also released a simple bash script that fixes the issue, in case you have already installed WordPress.